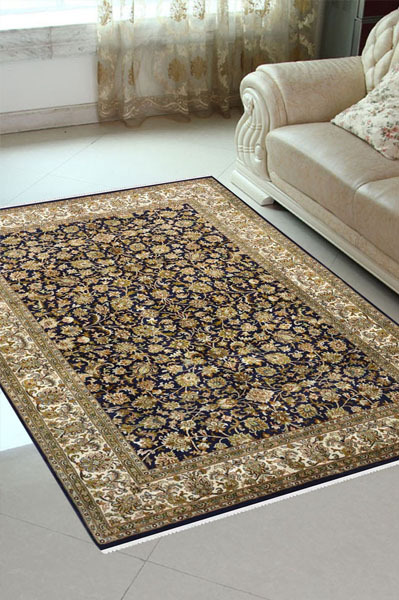 Carpet industry is one of the oldest and most popular industries in India. The trade of carpet weaving started when Babar came to India and was disappointed with the lack of luxury here. He missed the royalty of Persia. That’s when Akbar laid the foundation of carpet weaving tradition in India in circa 1580. The first carpet which was placed in the palace of Akbar in Agra was of palatial size and extremely fine. 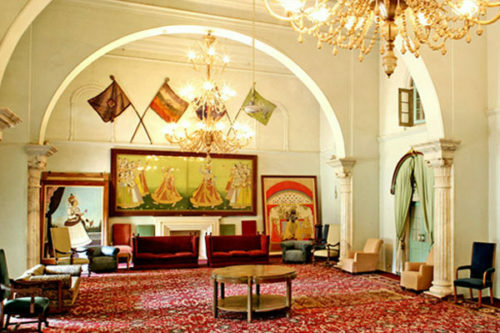 He also started a carpet weaving center in Agra, Delhi and provided the facility to weave carpets in Persian style. 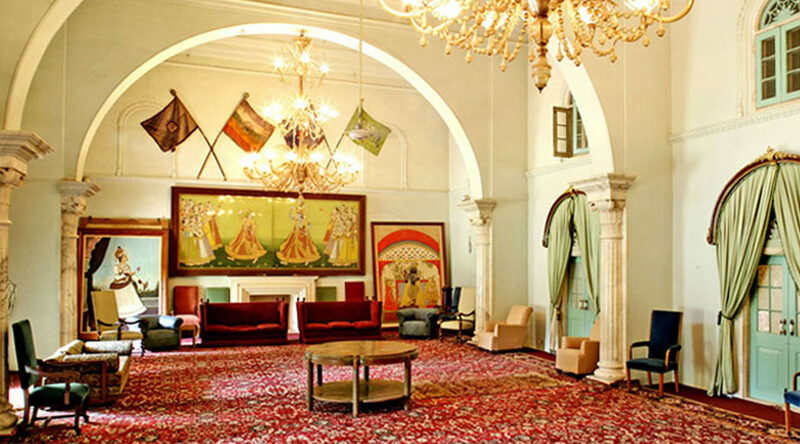 Some of the most royal carpets in India can be seen from Mughal period which were inspired by designs of Kirman, Kashan, Tree of life, Hamadan. Mughal empires not only used the Persian carpet technique, but were also influenced by traditional designs and motifs like flower, hunting peoples, nature motifs etc. Emperor Akbar was also concerned with some Persian carpet weavers to teach the Indian weavers the art of carpet weaving and day by day it was modified as per the royal tastes and mixed with the Indian arts. There are some places which are famous for producing luxurious and high quality rug and carpets. 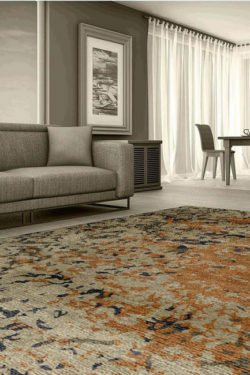 Uttar Pradesh: – As we know that Bhadohi, Mirzapur, and Agra are the famous places of handmade Indian carpets. These places are known for their unique colors and designs of the carpet. Emperor Akbar is established the first carpet weaving center in Agra. Weavers used vegetable dyes for giving vibrant colors of the carpet. 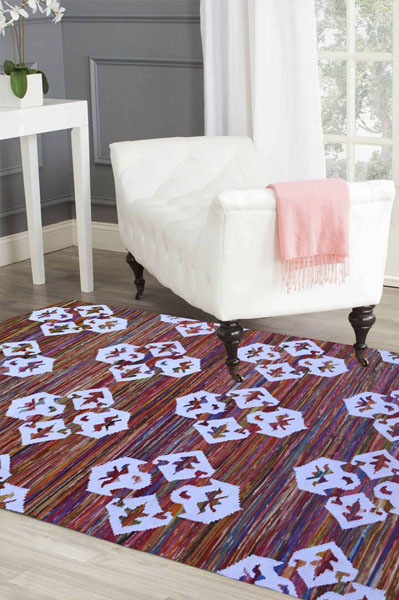 The specialty of these carpets is their individual designs. The weavers represent stories behind carpet designs, for instance they included Taj Mahal, bold motifs, war etc. Kashmir: – Kashmir is famous for the handmade silk carpets. These are very exclusive carpets and give ethnic look. We can say that it is the fort of exclusive handmade oriental carpets. Kashmir is well known due to its craftsmanship in carpet industry. Handmade silk carpets are hand knotted carpets which takes many months to complete. Weavers make designs which is represents the nature of Kashmir like they make Chinar trees, Birds etc. Jaipur: – Jaipur, this is the capital of Rajasthan. As we know that Rajasthan is the place of kings like Maharana Pratap, Jai Singh, Man Singh etc. so that they used handmade carpets for decorating their palaces. Jaipur, Ajmer, Jodhpur is famous for the handwoven dhurries. Rajasthan is only a place where you can find the finest material of handmade cotton dhurries. These dhurries are also known as Jaipur Dhurries. Pattern of Carpets -: Handmade carpets are available in various design patterns. Handmade carpets are divided into two categories. 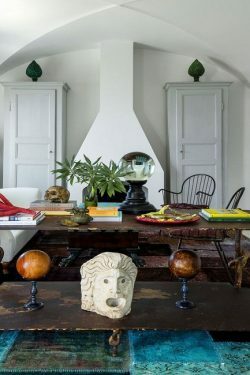 The first one is traditional design and modern design. Traditional carpets include Kirman, Kashan, and Hamadan, Tree of life, Bokhara etc. But nowadays handmade carpets are also woven in contemporary designs like abstract, plain, strips etc. for the modern home decor. Material of carpet: – Handmade carpets are woven in wool, pure silk, and cotton material. It can be woven in the combination of wool on cotton, wool on wool, silk on cotton and silk on silk. 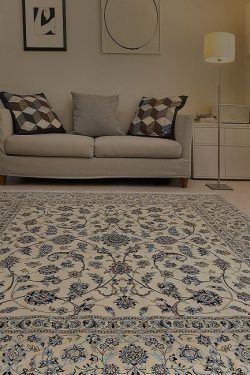 Best Places to buy handmade Carpets: – You can buy handmade carpets in Delhi, Jaipur and Agra. Delhi is the best place to buy a handmade carpet because this is a place where you can easily find big collection of handmade carpets.